DALLAS, Jan. 8, 2019 /CNW/ — BP Energy Partners, LLC (“BPEP”) is pleased to announce it has purchased a controlling interest in Cryopeak LNG Solutions Corp (“Cryopeak”), a customer-centric liquified natural gas (LNG) solutions company. 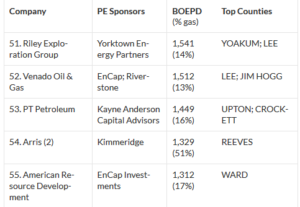 Cryopeak will become a portfolio company in BPEP’s second private equity fund, BP Natural Gas Opportunity Partners II, LP. In addition to the controlling interest acquisition, BPEP will also commit additional capital to Cryopeak to support its continued growth throughout North America. Cryopeak is focused on providing industrial customers and utilities with access to clean and reliable natural gas in locations where natural gas pipeline services are unavailable, limited or unreliable. Based in Vancouver, Cryopeak’s engineering, design and procurement expertise makes it one of the leading liquified natural gas (“LNG”) virtual pipeline providers in North America. The company provides safe and reliable LNG virtual pipeline services including LNG procurement, LNG transportation and LNG onsite equipment and support. Cryopeak was founded in 2012 in British Columbia. The company’s mission is to become the leading regional LNG provider in North America by focusing on supporting the customer and delivering exceptional service. Cryopeak has the expertise and track record to ensure the successful implementation and integration of natural gas for its customers. The company’s culture is one built on safety, performance and continuous improvement and values working directly with customers and other stakeholders to achieve superior environmental and operational results. BP Energy Partners, LLC. is a middle market private equity firm focused on the energy industry that brings operating experience, knowledge, relationships and executional know-how, in addition to capital, to partner with entrepreneurs, family-run businesses and management teams with the goal of growing investments in the energy space. BPEP invests growth capital across a wide range of energy dependent industries and sectors along the natural gas value chain, including, midstream, power, logistics/transportation, basic industry and oil field services.